Includes the Tola Strap, three Points, two Wedges, Rocker base and 50-page manual. Does NOT include Tola Strap. Includes three Points, two Wedges, Rocker base and 50-page manual. The Tola System is available with or without the adjustable 8’ Tola Strap, which allows enhanced usability and greater control of placement and pressure. Tola Strap also available separately. 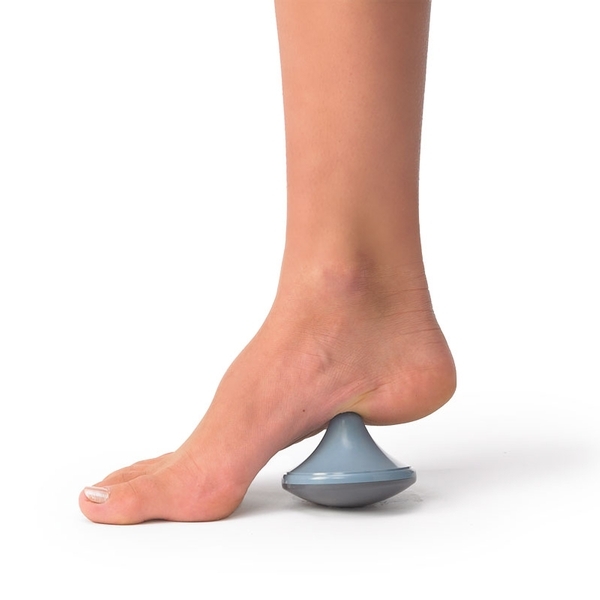 The Tola System features three carefully designed "points" that can be used seated, standing or lying down to target trigger points for pain-relief or facilitate neuromuscular release prior to stretching. The three contours allow multiple applications in terms of body area and deep pressure tolerance. One or more Wedges can be used in conjunction with the Tola Point to alter the angle of pressure to ensure it reaches the right spot. Relax. 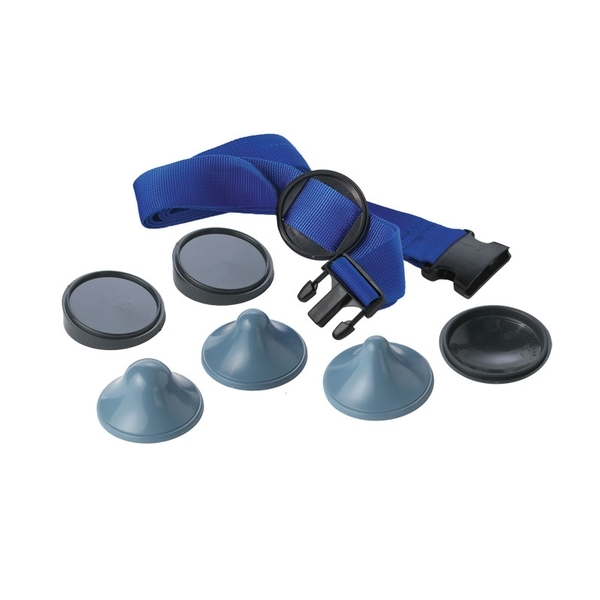 Users can relax while relying on body or limb weight to apply pressure, or by using the Strap to direct force to the Point with near complete relaxation. Customize. Any of the three Tola "points", each with a unique contour, can be combined with one or more angled Wedges or a Rocker base to vary the angle and/or height of pressure application, introduce a rolling-effect, or enable hand-held use. Components securely "click" together. Apply independently. Users can comfortably treat hard-to-reach soft tissues without relying on an assistant. Each Tola System includes three contoured Tola Points, two Wedges, a Rocker base and a 50-page manual. 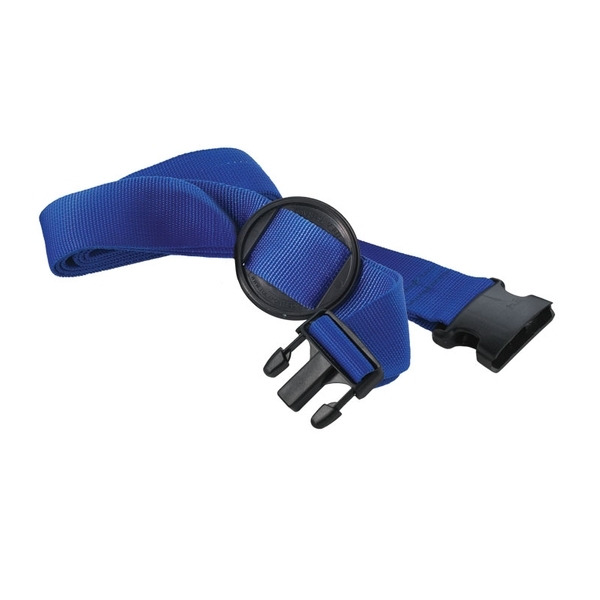 The system is available with or without the adjustable 8' Tola Strap. Tola Strap also available separately. The Tola System with Strap can be used in closed (buckled) or open (unbuckled) configurations allowing for greater control, enhanced usability and more complete relaxation; just "click" a Tola Point, or a Wedge and a Point, to the Strap base. In a closed set-up, the Tola Strap can be attached to the back of a chair, or looped around the foot to apply pressure to the back or shoulders using power from your legs. In an open position, the Strap can be hung from a door or used on the ground for increased control. I’ll cut to the chase – TolaPoint is simply amazing and hands down the best trigger point tool I’ve ever used. It’s a unique system that includes assembly options that are nearly endless. TolaPoint comes with three “Points” in various sizes (think the size of an elbow, the size of a thumb and the size of something in between an elbow and a thumb). There are also three bases for the points to rest on – two angled bases which can be used alone or stacked, allowing for more pinpointed precision as well as a base that rocks allowing the user to leverage mobility to really get at a nagging spot. Finally, there are two straps available to secure around a door or another stable fixture or, like I did, attach the smaller strap to a foam roller. The possibilities and combinations are endless and honestly a little overwhelming, so it’s great that a booklet comes with each system (which is also available from the website) explaining assembly and massage instructions for each part of the body. Pros: The low price point and versatility of this tool was astounding to me. I used it on my high hamstring, glutes, tensor fascia latae (hip), lower back, neck and foot. I typically use four different tools to cover these areas, but with easy adjustments in assembly, this tool was able to handle each spot I cover in my nightly routine. Unlike my Theracane, I don’t need to use any upperbody pressure to use the tool and unlike my TriggerPointTherapy balls, the points don’t rollout from underneath me (or end up in my dog’s mouth). Cons: If you’re not used to trigger point therapy, it can seem a little intense – maybe even painful. With the TolaPoint system, you’re able to modify it and start slowly (using the largest point and least about of body weight/pressure) being able to breathe deeply and relax into the pressure until the knot relaxes or releases. I have fibromyalgia, which I manage through lifestyle choices (diet, exercise, sleep), but I still get pain flare ups, which can even make me nauseous. I have come to realize that the origin of most pain is knots in my neck, shoulders and back. I lay on the Tola products to do my own deep tissue massage. The more pressure/leverage I apply, the more I can feel the knots release. It can be a painful process, but therapeutic. Just 10 to 20 minutes of this provides notable relief, allowing me to go about my day much more easily. I do not have to go to massage therapists or ask my husband to push on my shoulders. It is freeing. I really do consider these things mini miracles. The TOLA is a simple but ingeniously designed self-help tool. With variable angles and surface areas delivered in a lightweight and compact package, the TOLA is perfect for the traveler to get those kinks out after a flight or a bad hotel night. For the discerning client of bodywork or physical training, the TOLA can be used to target trigger points, &apos;stuck&apos; areas, or myofascial pain. The handbook concentrates on static pressure; for myself I get the best results by moving my body very slowly over the stationary tool to energize, hydrate, and re-awaken the tissues. Put it in your suitcase or keep it by your bed. If you are a &apos;get it out of there no matter what the pain&apos; kind of person, remember to breathe. As a physiatrist, 50% of my patients suffer with chronic pain. In many instances, movement intolerance contributes to their pain and they aren’t always compliant with instructions regarding exercise. Desperate for relief, they often over-rely on medications and gather unhelpful combinations of prescriptions from various sources, sometimes becoming dependent on narcotics, sleeping pills and muscle relaxers. Much time is spent weaning patients off narcotic and muscle relaxer medications and encouraging movement and exercise. Physical therapists who use a combination of manual therapy for pain relief, and exercise to improve range of motion and strength are integral to assisting me in restoring patients to lifestyles free of potentially addictive medications. Clever patients learn techniques to manage their pain, eliminate/reduce use of medications, and “graduate” from my care to independence. 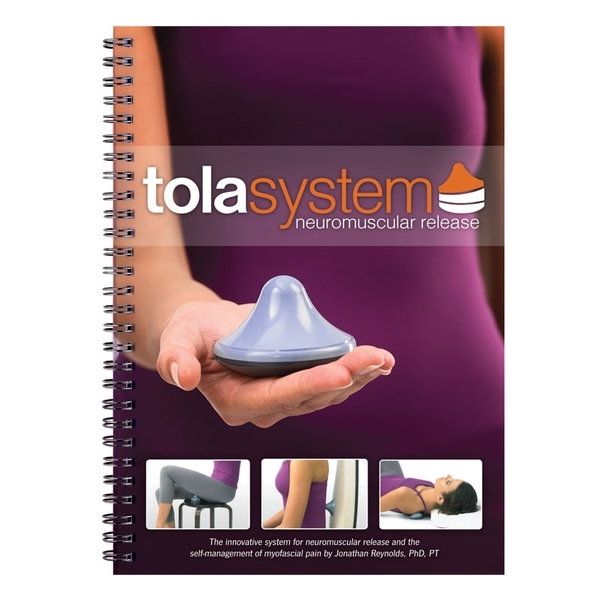 One such technique, the TOLA System functions as an effective portable device for many of my patients, especially those with difficult resistant cases of migraine headache associated with neck pain. Why take a pill when you can quickly break-up a painful muscle spasm with TOLA System and some stretches? I like the possibilities and flexibility that TOLA gives me and am happy to recommend it.